Joan Pilar is the Broker/Owner of Pyramid Peak Properties. She specializes in the Kirkwood and South Lake Tahoe areas including Fallen Leaf Lake. 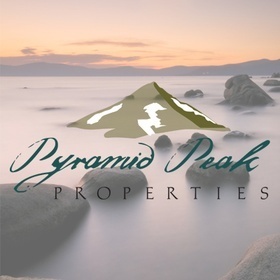 Pyramid Peak Properties offers home sales, vacation rentals and Community Management services. Joan is a motivated, creative and versatile real estate executive with over sixteen years of experience in the real estate business. Specializing in the sales and marketing of home sites, condominiums, shared ownership and luxury homes in the Kirkwood and Tahoe areas. You could say second home and resort sales is the way of life in the Tahoe area. Her history goes back to growing up at Fallen Leaf Lake and then finally moving to the Kirkwood Ski Resort after traveling the world with her military family. She raised her two sons at Kirkwood where Cory now works with Pyramid Peak Properties and Bryce teaches ski racing at Kirkwood Ski Education Foundation for one of his jobs. A passion for the mountains, open space, recreation and a quality lifestyle are the most important parts of her life and she wants to share with like kind people helping them find the perfect place to call home. Let’s get together to discuss your next move! As a lifelong Californian, Kim began her childhood spending family vacations all around the Lake. In 2014, Kim made her dream of living in Tahoe a reality and moved here with her daughter. This passion for Tahoe combined with her love of real estate comes through in her real estate business to help both buyers and sellers make their own Tahoe and Kirkwood dreams come true. Kim has a BA from CSU Long Beach and began her real estate career in 2003 as a marketing specialist in commercial real estate for residential land sales. In 2004 she was licensed and from there she expanded her career to residential homes sales in the Sacramento region, where she repeatedly earned the distinction as a Sacramento MLS Master’s Club Member, representing the top 1% of producing Realtors in the area. In Kim’s years of closed transactions, her main focus has always been to make the process as smooth as possible for both her buyers and sellers. She is dedicated to the needs of her clients by negotiating the best terms, expansive market knowledge and attention to detail, whether it’s buying, selling or investing. In addition to real estate, Kim also brings a certification in Feng Shui as a complimentary service to her clients. Felicity first visited the Tahoe area while in college. It was truly love at first sight. Captivated by the amazing blueness of the lake and the crisp air of the mountaintops, she dreamed that someday she might call Tahoe her home. 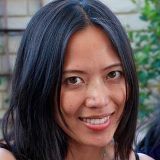 After graduating college with a degree in software engineering, she spent the majority of her career in Silicon Valley. During this time, many vacations were spent in Tahoe with friends and family, where her affection for the area deepened with each visit. Felicity has always maintained a passion for real estate, staying active in numerous markets throughout California. During her career, she became a real estate investor in multiple income generating properties. After a long and successful career in software development, she wanted a change of pace and decided to not only make real estate her primary focus, but to finally call Tahoe her home. It is a life changing decision and she couldn't be happier. Integrity and professionalism are very important to Felicity. As a dedicated real estate agent, she will take the time to understand each client's individual needs and preferences. She will be there with you through the entire process, making sure you understand everything and answering all your questions. Whether you are looking at buying your home away from home, seeking income generating assets or selling properties, Felicity is there to help you accomplish your real estate goals. Pyramid Peak is a mountain in the Sierra Nevada mountain range within the Crystal Range, west of Lake Tahoe. It is the highest peak in the Desolation Wilderness area, El Dorado County, California with fine views of Lake Aloha, Lake Tahoe, Mount Tallac, Fallen Leaf Lake, Ralston Peak, and other lakes…. Its unmistakable pyramid shape lends to its name. Pyramid Peak rises 4,000 feet above the South Fork of the American River Canyon at Twin Bridges. The most popular route, Rocky Canyon is an arduous climb. Pyramid Lake lies at the base of the peak. It offers more vertical relief than any other peak in the Tahoe region, along with great open-bowl skiing above timberline. From all points in the Lake Tahoe Basin, Kirkwood and the San Joaquin Valley, Pyramid Peak soaring at 9,983 feet is in our presence. A constant reminder the allure of Tahoe is not far and a cool mountain paradise awaits your presence. Pyramid Peak is considered “The Sentinel of the Tahoe Sierra” and Pyramid Peak Properties strives to be the same.